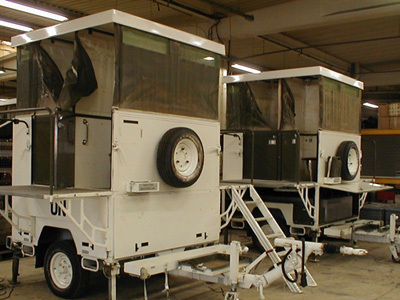 SERT provides the after-sales service and offers maintenance contracts and refurbishment of its customers' equipment. The training courses provided by SERT allow our clients' technicians to acquire sufficient skills to perform major maintenance operations and repairs on equipment. Nevertheless, our technical services are available for our clients when needed, either through telephone contact, by e-mail or some teams can intervene directly at our customers'. These interventions can be carried out either by our technicians or by our local representatives trained on our equipment. SERT can offer a maintenance contract to the customers who have no means of maintenance or wishing to outsource a part of the maintenance. These contracts are specific and adapted to the needs of each client. This maintenance can be performed in our factory or in our customers' premises. We also offer you to make the refurbishment of your SERT products after many years of use or after a return of long external operations. Following a precise expertise in our factory and a specific order from our customers, the units are entirely refurbished and can start a new life cycle with a manufacturer warranty.